You are not logged in. 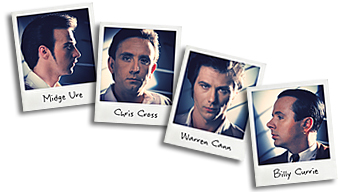 [Log In] Ultravox.org.uk » Forums » Socialising » Introduce yourself... » Hello everybody! #90516 - Wed, 19 May 2010 19:06:00 Hello everybody! #90517 - Wed, 19 May 2010 19:45:00 Re: Hello everybody! #90518 - Wed, 19 May 2010 20:40:00 Re: Hello everybody! Greetings, Trace, from another of the numerous '40 somethings'. #90519 - Thu, 20 May 2010 04:16:00 Re: Hello everybody! #90520 - Thu, 20 May 2010 04:17:00 Re: Hello everybody! #90521 - Thu, 20 May 2010 16:46:00 Re: Hello everybody! #90522 - Wed, 26 May 2010 17:02:00 Re: Hello everybody! Hello Trace,a warm welcome to you from another new member (born 44 years ago). Remember you're as young as you feel,age isn't everything. Hope you'll enjoy this forum. #90523 - Tue, 29 Jun 2010 07:04:00 Re: Hello everybody!